Former Pride FC lightweight champion Takanori Gomi (pictured) will return to action to fight Isaac Vallie-Flagg at UFC 172. Vallie-Flagg was initially scheduled to face Danny Castillo in the April 26 event. No word on why Castillo was forced to withdraw from the scrap. The UFC announced the new matchup Tuesday night. 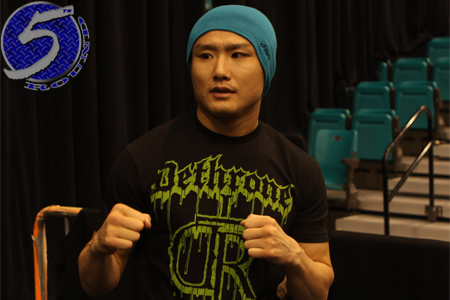 Gomi hasn’t been seen since dropping a split decision to Diego Sanchez in March 2013. “The Fireball Kid” has gone a disappointing 3-4 since joining the UFC in 2010. Vallie-Flagg is also looking to bounce back from a loss. The former Strikeforce fighter was beat by Elias Silverio in January.